Brenda told me that the July meeting was a big success, and I am very curious about what dish did you actually share and learn. Unfortunately I was not able to come as my Auckland friends decided at the last minute to go skiing. Hope you all have enjoyed the sunshine recently after the long period of wet winter. Spring is coming soon. In the last few months, a new type of business, push bike-sharing, suddenly boomed in many Chinese cities. Nowadays the two Chinese major bike-sharing companies, ofo and Mobike, have just financed US$600 million and US$700 million from investors, and in many cities the battle between all bike-sharing companies has finally come to a decisive stage. Their business model was issuing prepaid push bike hiring rights through a mobile app and charge rental when you unlock one of their push bikes. In order to claim the market share, these companies have to dump thousands of push bikes at every subway entrance, university campus, shopping mall and residential complex. In Beijing there are about 1 million push bikes deployed by these companies, which is equivalent to about 3% of the population. Their competition is not an issue, but their bikes now have to occupy large areas on pedestrian paths, public recreational areas, and even vehicle lanes. This caused another round of chaos for traffic conditions. These bikes were made with very cheap steel and parts, and the companies don’t have a good mechanism to collect the broken and poor condition bikes. If you search “shared bike in China” on Google, you can easily find a lot of negative news relating to this business. This month I am going to talk about the Single-Child Policy and its termination in China. This policy has influenced the vast majority of young and mid-aged population in China, and it has directly impacted on all the social policy, labor market, mental health of the youth, gender discrimination and numerous areas in China and around the world. Of course I can not cover all these topics within one hour, but I will use my personal experience to interpret the shadow of it on my life. We will have our usual shared lunch before the presentation. 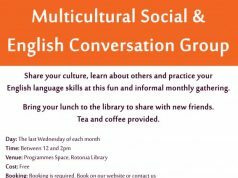 Also don’t forget the Multicultural shared lunch which happens on the 4th Wed. of the month. This month will be hosted by the Malayli Indian Community on 30 August at the Library 12:00pm. One sentence to summarise this chapter: “The present normal attitude of the Chinese mind, official and unofficial, towards foreigners, is not one of respect”. I could not deny Smith’s inception, as the civilisation in the Yellow River plane has a long history of isolation. The monarch of ancient Chinese dynasties were using the power of authority to convince the whole country that he is the “Son of God” (which sounds like the Jesus, right?) and his kingdom is the centre of the earth (which sounds like the Lord of the Rings, right?) and the capital of civilisation. Foreigners must come from the barbaric place, and must honour his authority with the highest courtesy. When the army of eight countries conquered Beijing at the end of the Qing Dynasty, Chinese monarch was thinking that the barbarians intended to replace him to be the next kingdom’s king. Until the head of that army requested to establish a peace talk with him, his administration finally started to realise that this army was not intended to replace his dynasty but just wanting to do business with his dynasty. That was the first time that the ancient Chinese authority started to realise that the world had more than one kingdom and his was not the most powerful. Because of the geographical and cultural isolation, ordinary Chinese people at that time barely had a chance to actually see a foreigner in their entire life, and they were educated to despise all barbarians because they were “citizen of the celestial empire”. Think about the people living in the US western country area, those people’s mind was of the same as the Chinese people that Smith met in China. Interestingly, despite the title that Smith gave to this chapter, the Chinese translation of this book named this chapter as “Chinese people’s superiority complex”. This still reflected that the modern Chinese society has an interesting paradox: on one hand, people admire the Western culture, or American culture, as well as those living overseas; on the other hand, people despise those who got foreign residency by saying they did not obtain their foreign residency through their endeavour. On a road sign in Tibet I saw on the internet showed literally the town that the left road leads to is a place called “for example” (identical character), but the manufacturer did not realise his translation engine treated that town’s name as a conjunction word. The other town got its name sounding like the medicine Anastrozole. Another funny mistake happened in 2010. At that year, Guangzhou City choose the slogan “Let’s Make Love Everywhere in Our Guangzhou” at the Asian Game that year. And this slogan was printed on numerous advertisement board and handouts. I could not image how much laughter it caused in the athletic village.